I would like to thank to Glenn and Judy for taking their time and animals to the event. Glenn's 90 lb baby Sulcata Dozer was a huge success. Kids were following him all over the place. One of the amusing questions about Dozer was: "Is that a snapping turtle?" to believe how much their tiny slider will grow in just 3 years. One of my pet peeve answers to -- what kind of turtle do you have? -- was -- I don't know. !!!!!! I almost fainted when I heard it and not only once. Thank you again and I hope to do another event soon. It's really fun to see the kids happy and excited seeing so many kinds of turtles and trying to learn about them. Come see us at the Museum of Nature & Science event. 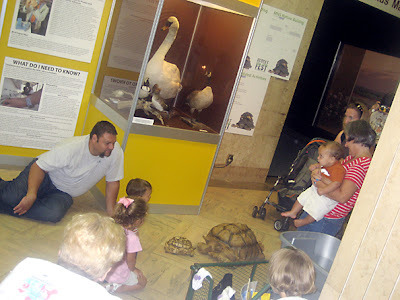 at your new Museum of Nature & Science is a weekend full of REPTILE discovery! Bring your family and friends and join MNS for a weekend full of REPTILE demonstrations, hands-on activities, crafts and shows. At you can get to know more about the lizards that live in your own backyard, visit an interactive reptile show, make a snake hat, talk to a real herpetologist, touch and feel a banded Milk Snake and spend some time getting to know your cold-blooded friends! 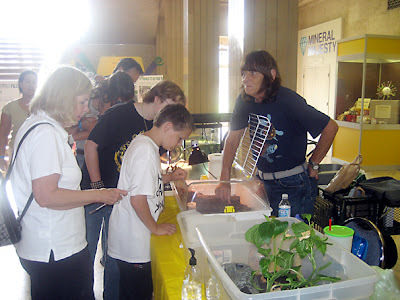 COST: Admission to Reptile Fest is free to MNS members and included in the general admission cost to non-members. Not a member? Join now! Call 972-201-0602. 5. Don't release turtles back in wild. Think twice before buy turtle as a pet. Turtles can live 40, 60 even hundred years. They can grow large and need lots of space to roam or/and swim. This is the number one reason of turtles being released back in wild. Turtles kept in captivity for a while often lose the need for hunting since they have been fed and they will not be able to survive in the wild. An even bigger problem can develop, that is releasing the turtle, even in its potentially native habitat, will affect biodiversity of the pond or lake you release it in. Introduction of parasites and illnesses can wipe out entire fish or other local fauna population. 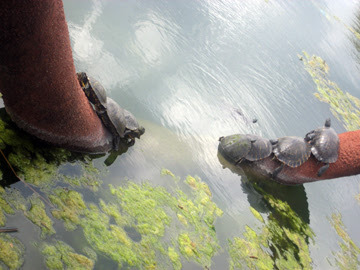 For help, contact your local Turtle Club, Herpetological Society, Wildlife rehabilitator or your local animal shelter. 6. Get Turtles out of U.S. Live Animal Markets. 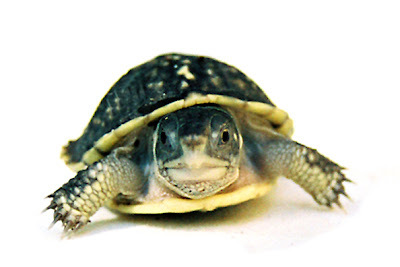 Turtles are among the most popular offerings at live animal markets in the United States. They suffer terrible abuse in filthy, neglectful conditions, and are slaughtered by being cut apart while conscious. The vast majority of market turtles are taken from the wild, contributing to declining U.S. turtle populations. Tell state wildlife agencies that you’re concerned about the increasing collection of wild turtles to supply animal markets in the United States and abroad (mostly in Asia). 10. 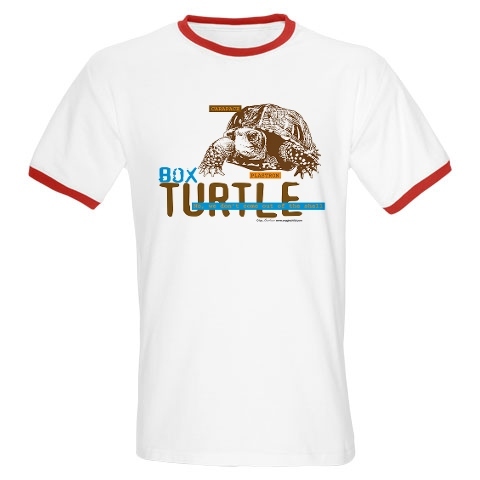 Join and/or support turtle conservation and educational organizations. 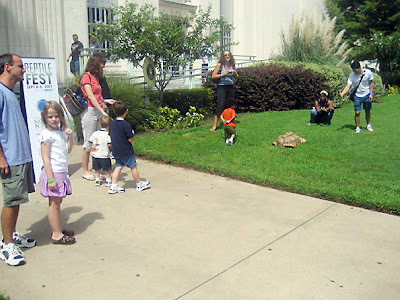 You can find and join local Turtle & Tortoise Club/society like DFW Turtle & Tortoise club www.dfwttc.org so you can connect with others with great knowledge about chelonians and help with local efforts to protect turtles. Many other organizations like TSA - Turtle Survival Alliance and World Chelonian Trust www.chelonia.org have a great resources and extensive information about captive care and conservational issues. 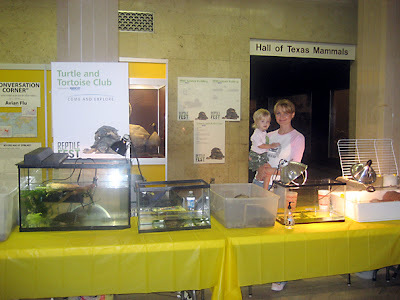 DFW Turtle & Tortoise Club is a great group to exchange ideas and information to create a better understanding of the care of our shelled friends in the Dallas – Fort Worth climate (but not exclusively). Come and join us: Feel free to invite anyone who might be interested.